Bangalore-based seed-to-table organic product firm Lumiere Organic Venture Pvt Ltd has raised an undisclosed sum in Series A funding from 20 undisclosed investors in a crowdsourcing exercise. This is the first closure announcement and more funds are expected to be raised as part of this round. The 20 undisclosed investors are customers and patrons of Lumiere, the company said in a statement. In an interaction with Techcircle.in, Manjunath Panickaparambil, founder and CEO of Lumiere Organic said the funds will be used for buying more land for organic farming, marketing expenses, opening more physical outlets, scaling up its online shopping portal and also its restaurant division. Founded in 2002 by Manjunath Panickaparambil and Ambrose Kooliath, Lumiere runs an organic farming venture. Its farm and bakery products are available in self-branded physical stores besides its e-stores. Initially set up in Kochi, Lumiere later shifted its base to Bangalore to leverage the growing demand for organic products in the latter. All its farm produce are used as ingredients in the dishes served at its restaurant, besides being sold under its private label 'Lumiere'. It also has bakery products and has introduced its own brand of perishables that include pickles, sauces, jams, syrups and cookies. Currently Lumiere farms vegetables, fruits and poultry products in about 14 acres of land spread across Kerala and Karnataka. The company is about to close a deal to purchase 13 acres of farm land in Tamil Nadu as part of its expansion initiatives. Lumiere also works with other farms for its additional requirements and stocks products of other certified organic product partners in its stores. 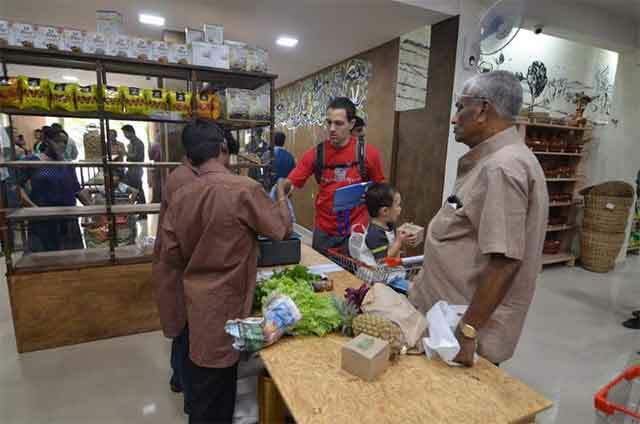 Lumiere has two physical stores in Bangalore besides an online store where customers can place orders and get them delivered. By the end of 2016, Lumiere plans to open five more stores. "We want to scale up more quality-wise as opposed to volume and size," said Panickaparambil, adding that the company is expected to break even in the next three to four months. Nagaraja Prakasam, founder chairman, Native Angels Network, and one of the venture's early angel investors, said that the organic sector works on the basis of trust and even a small deviation in the production process can impact quality. Native Angels Newtork enables angel investment in startups based in tier two and three cities working in the areas of agriculture, biotechnology and related fields. A number of organic product ventures have raised funding recently. In October last year, Satvika Bio-Foods India Pvt Ltd, which runs Naturally Yours, an e-commerce venture for organic food, raised an undisclosed amount in seed funding from serial entrepreneur-turned-investor Sanjay Mehta. In July, Delhi-based Pavitra Retail Pvt Ltd, which runs an e-commerce marketplace for organic products called JoybyNature, had secured $1 million in a pre-Series A round of funding from Mumbai Angels, Contrarian Vriddhi Fund and a bunch of wealthy individuals.